Ever wanted to get hold of high resolution image files of your favourite LINE stickers? It’s easy! Firstly, find the sticker set you want to download in the Sticker Shop and click into its product page. Make a note of the number towards the end, in this case 3333. A zipped folder should now start downloading. Extract it to find the image files inside! You’ll notice that the only difference in the web address is that stickers has been substituted with stickerpack. Also note that this web address will only work for sticker sets with animated stickers. 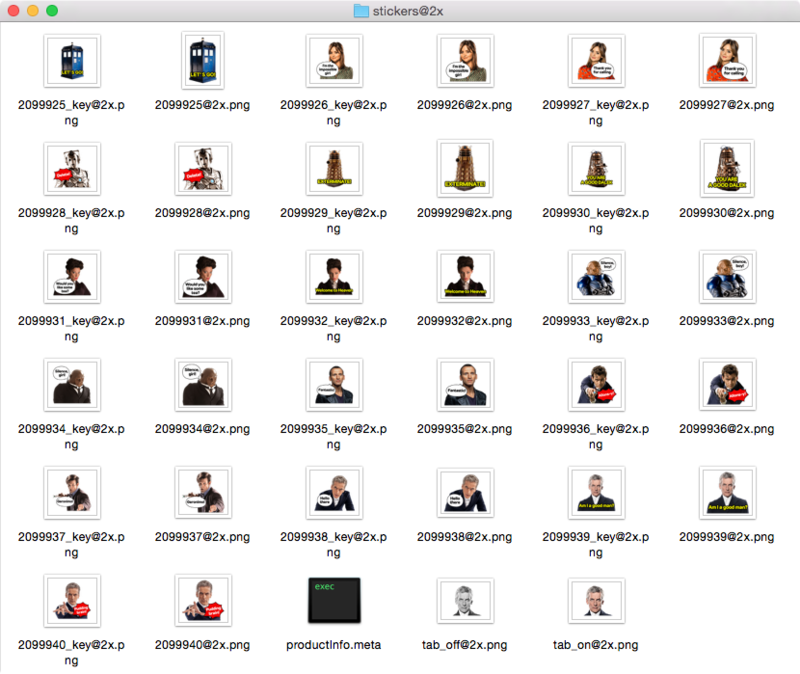 The stickerpack folder will still contain static versions of the stickers, but there is also a subfolder called animation which contains the animated versions. These files use the APNG format which isn’t widely supported. You can use tools such as Animizer to convert these into an animated GIF. To get there, simply open up Finder and select Go > Go to Folder… from the menu at the top of the screen, then paste the above location into the box that appears. The stickers are grouped into separate folders for each sticker set. If you find that some stickers are missing, they may not have been downloaded. To fix this, just open up a new chat message and click on the sticker icon. There should be a button that lets you download all the stickers you own. Click this and you should now find all the stickers in the folder. This is probably the easiest way to get access to the sticker image files if you have a Mac. Note that animated stickers are stored in a subfolder called animation and use the APNG format which isn’t widely supported. You can use tools such as Animizer to convert these into an animated GIF.